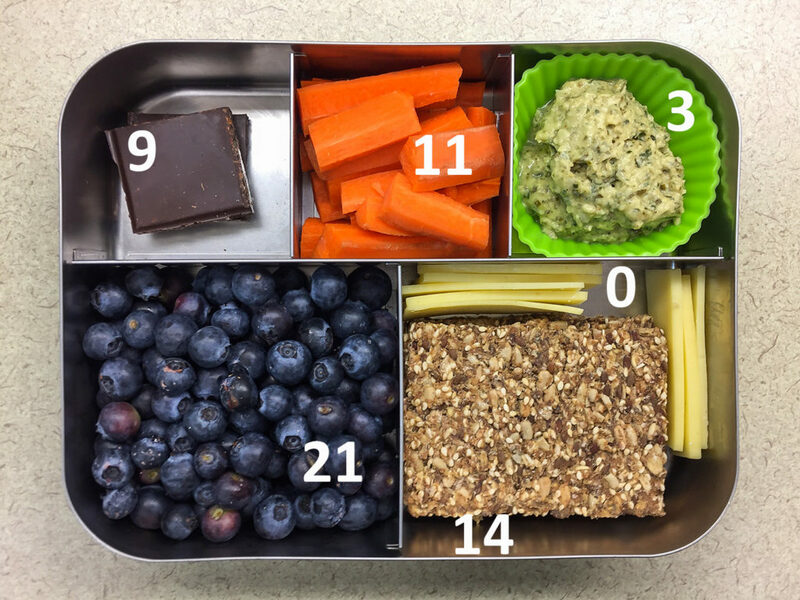 How Much Carbohydrate is in My Lunch? The nutrient category of carbohydrates is large, which by design means there are a lot of food choices that count under the heading. Some are certainly better, while some are a little worse. Most plant foods are rich in carbohydrate so if you follow the guidelines to choose a plant-based diet, like from the American Institute for Cancer Research’s New American Plate or the American Heart Association’s Diet and Lifestyle Recommendations you can bet there will be some carbohydrates on your plate. This includes non-starchy vegetables (like asparagus, cauliflower, broccoli, cucumber), starchy vegetables (like potatoes or corn), fruit (like grapes, raspberries, or oranges), legumes (like lentils, garbanzo beans, and pinto beans), whole grains (quinoa, brown rice, barley), and nuts and seeds (like peanut butter, almonds, or pumpkin seeds). There is also carbohydrate in dairy foods like milk and yogurt. Are you noticing yet that it’s kind of hard to avoid these little buggers? Of course there are less desirable carb choices too like soda, candy, sugar in your coffee, and desserts. In terms of health effects, though, all carbohydrates probably shouldn’t be lumped together. Fiber is a type of carbohydrate and it has been shown to lower blood cholesterol and reduce our risk of coronary heart disease. Sugar is also a type of carbohydrate, but it is associated with raising triglyceride levels in the blood and sugar-sweetened beverages have been suggested as a possible contributor to the obesity crisis. Ideally, each carbohydrate-containing food should be evaluated on its own merit. Knowing where your carbs are coming from and how much you’re actually eating takes a bit of attention and label reading. 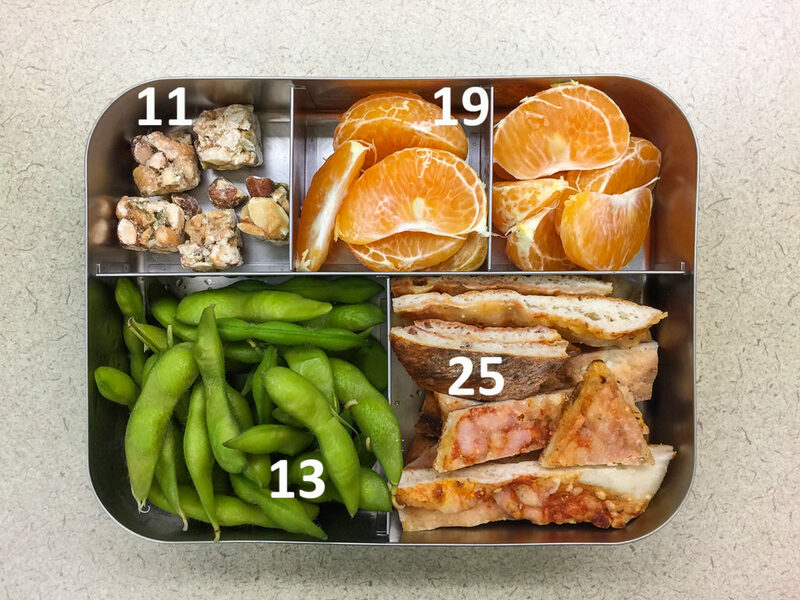 In an effort to make the these kind of numbers more understandable, relatable, and visible, I’ve recently written two posts about my favorite lunch delivery system, the bento box, with each entry clearly labeled with calorie or protein values. Today, I’m turning my attention to carbohydrates. 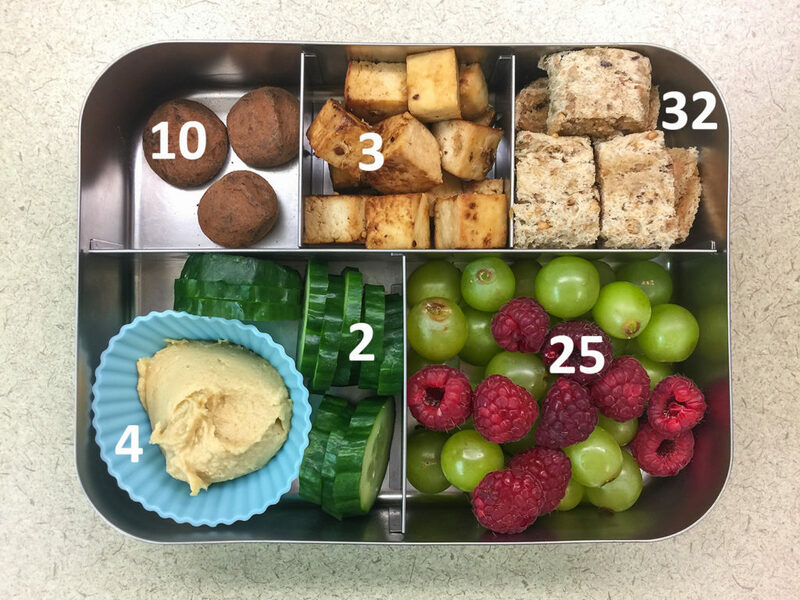 As you peek at the pictures below, it will help to know the recommended daily carbohydrate intake (in grams) to make sense of what you’re seeing. For someone following a typical 2000 calorie diet, this would be 225 to 325 g per day. Since these values are based on percentage of overall calories, if your calorie intake is higher or lower, your corresponding carbohydrate would go up or down accordingly. Here they are, in order from lowest to highest. Did anything surprise you? Or was it pretty much what you expected? 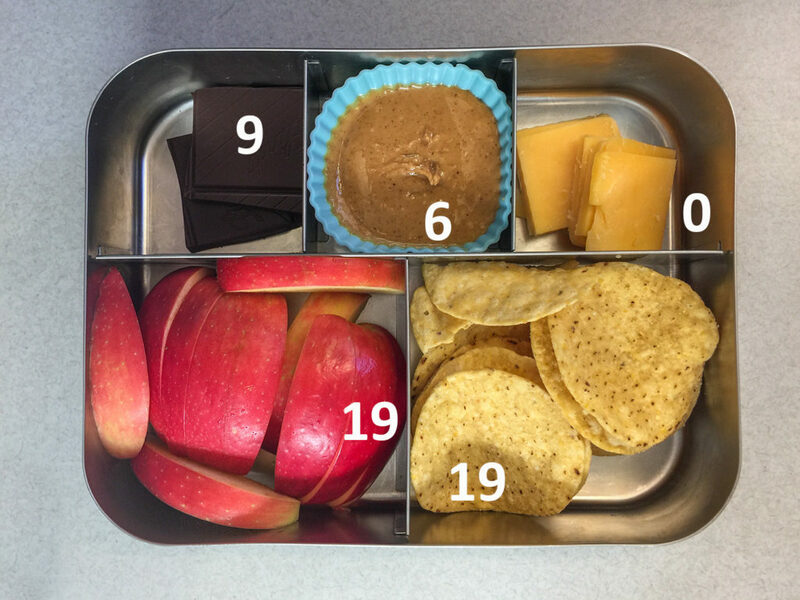 You might have noticed that fruit was a significant contributor to my lunch totals, as were starches like pizza crust, tortilla chips, and pretzels. Carbohydrate content varies a bit in vegetables. For example, cucumbers and snap peas are fairly low while carrots are higher. 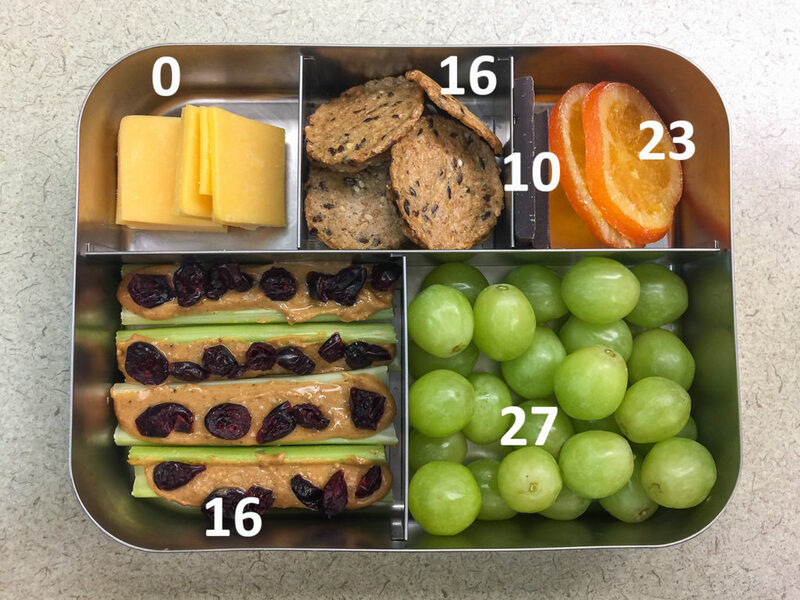 Foods like meat (which was missing from my bentos) don’t have any carbohydrate and cheeses are so low they’re essentially carbohydrate-free depending on the portion size. For my next post, we’ll shift from carbohydrate and protein to the most caloric nutrient of them all: fat. This is another one that’s had its name dragged through the mud in the past. 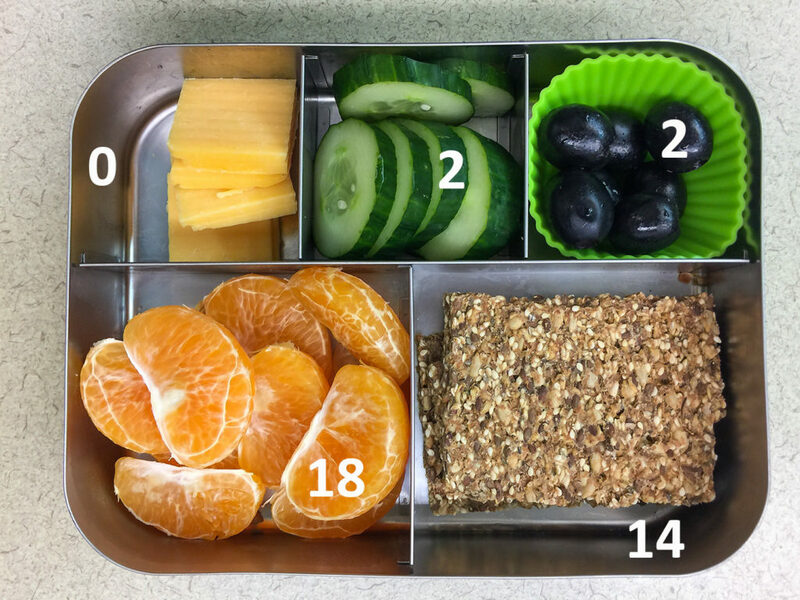 I’ll share the same, now familiar, bento lunch pictures with fat grams emblazoned on every food to finish up this series of posts and we’ll see if we can debunk some myths about where to find fat in the diet. Looking at all these colorful pictures, full of fiber, vitamin C, vitamin E, potassium, magnesium, and antioxidants I’m not sure why anyone would want to avoid these foods. 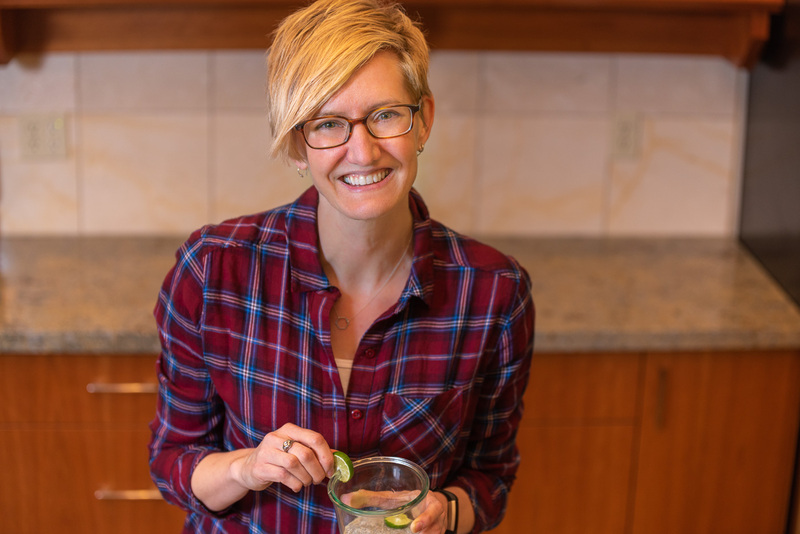 They form the backbone of health-promoting plant-based diets and they happen to taste fantastic. Serve me up some carbohydrates! How do you do carbohydrates? Unmonitored and unrestrained? Or tallied gram by gram? 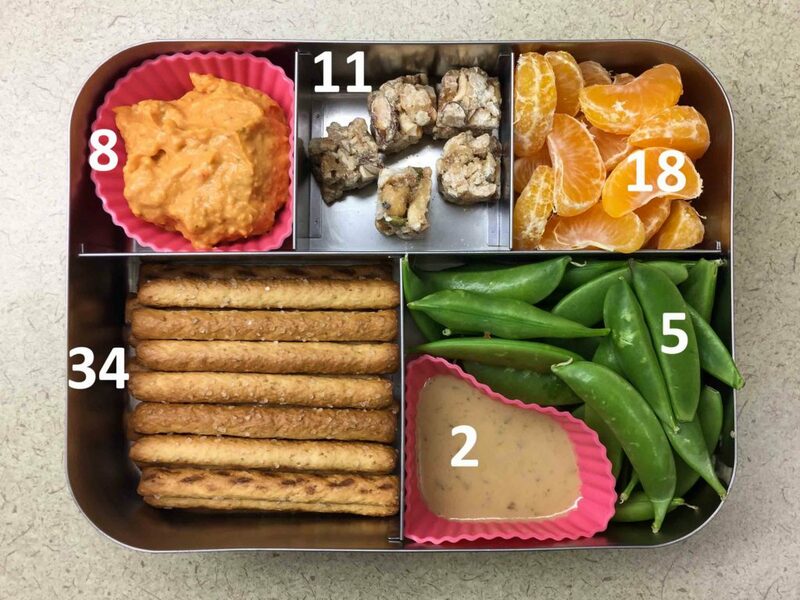 Those all look so nutritious and delicious that it’s inspiring me to try the bento lunch style! What are the little cups you’re using for your dips? Hi Stephanie. How exciting! 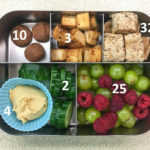 I’d love to know what you think if you give bento lunches a go. The little cups are silicone baking/muffin cups that I bought on Amazon. So handy.